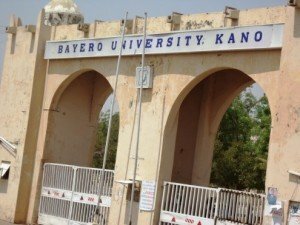 Bayero University Kano (BUK) postgraduate admission list for 2018/2019 academic session is out. This is the BUK first batch postgraduate admission list for the new academic session. All BUK PG applicants/candidates should take note of this development. Candidates who applied for admission into the BUK PG Programme for the 2018/2019 academic session and took part in the admission screening exercise are to check their names in the admission list below. The BUK postgraduate list released by the institution contains the names of successful candidates that participated in the admission screening exercise. The admission list in the pdf file below contains the names of candidates that have been offered provisional admission. BUK 1st Batch Postgraduate Admission List Congratulations to all candidates whose names are on the PG admission list of Bayero University Kano. NGScholars! Join over 143,000 Facebook Followers | Join over 29,000 Twitter Followers | Join over 26,000 Email Subscribers (school official page).